For over 60 years, Crescent Plastics has consistently delivered finished extruded profile products designed to meet or exceed our customers’ expectations. We specialize in custom plastic extrusion products and fabrication, along with custom tubing and pipe. Request a quote or contact Crescent Plastics today to discuss the custom extruded plastic requirements for your next project. Your custom plastic extrusion project begins with Crescent Plastics’ team of design engineers, who work closely with you to understand your needs. Complex design functionality can be optimized for quality and manufacturability thanks to our decades of engineering experience and advanced CAD/CAM technology. At Crescent Plastics we produce custom plastic profiles up to 20” wide, from complicated to simple high volume designs. From design to delivery, our knowledgeable team uses their full-service custom extrusion experience to provide you with plastic profiles that match your exact requirements. Our expert engineering department has the skills and experience to turn any plastic profile design into a physical product. Employing proven DFM (design for manufacturing) methodologies, we enhance complex customer designs for improved functionality, quality, and production economy. Crescent Plastic’s computerized fabrication processes can save you considerable time and money in your overall production process. This results in more complete parts that require less additional processing on your end. Additionally, We utilize fully-automated processes wherever possible within our custom plastic fabrication process to ensure superior precision, accuracy, and repeatability. Our skilled engineering team will evaluate your part designs, and the associated manufacturing requirements, to determine exactly how fabrication process can be integrated into production. Crescent Plastic’s specialty finishes can convert your custom extrusion into a stunning, thoroughly finished product. With full-service capabilities for custom finishes, we can deliver turnkey custom plastic extrusions that meet your exclusive requirements. We offer numerous types of finishing options to give your custom plastic extrusions the appearance and impression you’ve always desired. At Crescent Plastics we have established a process to produce lightweight, high strength custom extrusions from foam using several types of extrusion materials. 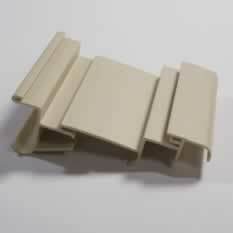 Crescent Plastics provides custom foam extrusions and plastic extrusion shapes made to your specifications. We can meet your needs with our efficient, high volume foamed plastic extrusion processes. Crescent Plastics has extensive practice in creating custom coextrusions and can provide coextruded plastic profiles with two similar or dissimilar materials that will bond together into a single, seamless piece. We will work with you to determine what materials are needed for your unique application. 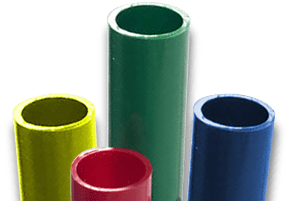 Our knowledgeable team can provide custom plastic extrusions in an almost unlimited array of colors and with a wide range of custom finishes. In addition to our custom extrusion offerings, we can provide a multitude of secondary operations, as needed, both online and off-line. We also have complete in-house tooling facilities to guarantee the quality and accuracy of our complex polyurethane, rigid custom extrusions, custom tubing, and other products. Request a quote on the custom plastic extrusions you need, or contact Crescent Plastics to learn more.